Trees are naturally strong, organic, growing structures capable of supporting themselves under most circumstances. But there are occasions when a tree can’t support its own weight, due to factors such as several trunks or wider canopies. If a large branch falls off due to this issue, it could result in injury or property damage. Fortunately, the arborists at Integrity Tree Care are ready and skilled at addressing problems such as these. Cables can be installed high in the tree to reduce the likelihood of structural failure and can help maintain the tree’s stoutness for years, or even decades. Cables come in many shapes and forms; our team will determine just the right option for you. Braces, near the bottom of the tree, can also be installed in certain situations. Cables are often used alone, but braces aren’t ever put in without cables. The team at Integrity Tree Care can answer all of your questions about tree cabling and bracing in Fort Worth, Dallas or the surrounding area. 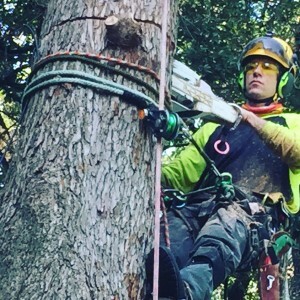 Tree brace installation and cabling are jobs that should only be handled by seasoned professionals, so contact us today to get started. While cabling/bracing is invasive to your tree, it’s often worth the effort to keep it stable. Which trees will need such a service? Oftentimes, it’s the type with a wide canopy, or a pronounced “V” shape. As the tree grows, it can be affected by the weight of the canopy as well as extra weight caused by wind, snow or rain. 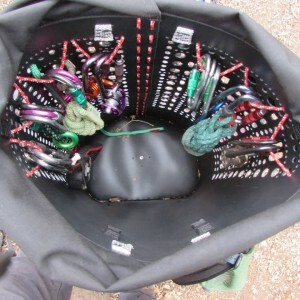 Cables can help redistribute the tree’s weight load. 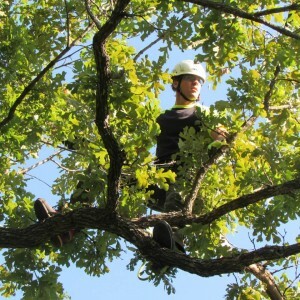 Trees with more than one trunk may also need assistance from cabling and bracing. (These include Texas red oak, Shumard red oak, live oak, cedar elm and river oak, among others.) As each trunk grows separately, they can pull away from each other and create an uneven weight load. If any trunk fails, the base can be wounded, which means the tree is susceptible to disease and insects. Cabling can help prevent all of these problems. Bracing is the process of inserting rods or bolts through the trunk of the tree to help support it. As the tree grows around the bracing rods, they become even more supporting. An important note: Installation of cabling and bracing systems is invasive. But it’s often worth the effort to mitigate risks and prolong the stability of your trees. For assistance with tree cabling and bracing in Fort Worth, Dallas or surrounding cities, contact Integrity Tree Care today. Our friendly staff, which includes three certified arborists, will go over all of your options for cabling and tree brace installation. Put us to work for you!